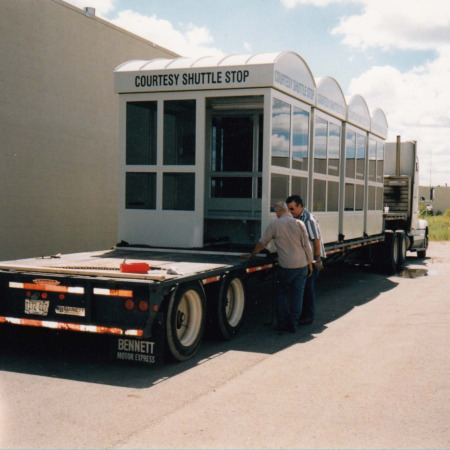 These great looking Little Buildings were ordered for a midwest airport that features a parking lot with courtesy shuttle stops. 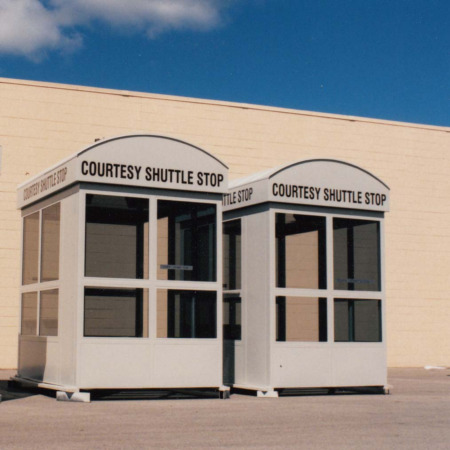 Not your typical looking bus stop! 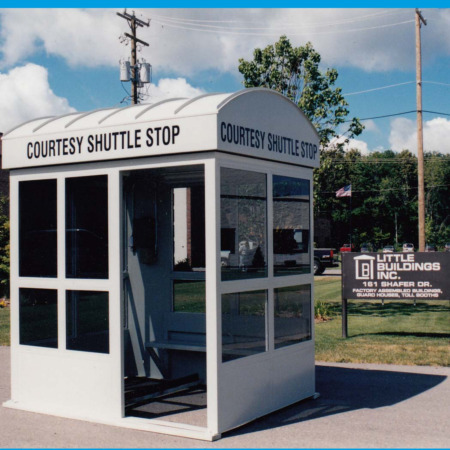 Positioned throughout the parking lot for patrons to easily get to with their luggage, they included a bench to rest on while waiting for a ride. Tinted glass and interior lighting with automatic switch helps keep customers safe and comfortable. Lettering was installed at the factory, at site it was just a matter of set, connect, and use! 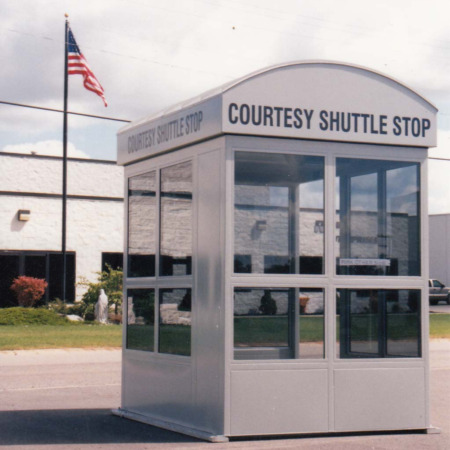 Stainless Steel Bus Stops are also available from Little Buildings, Inc. 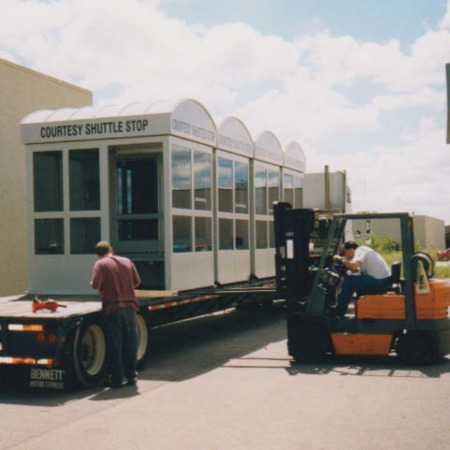 Stainless Steel Bus Shelters are a great alternative in the snowbelt and seaside community installations to virtually eliminate damage from corrosion.